D4 Surgicals of India. 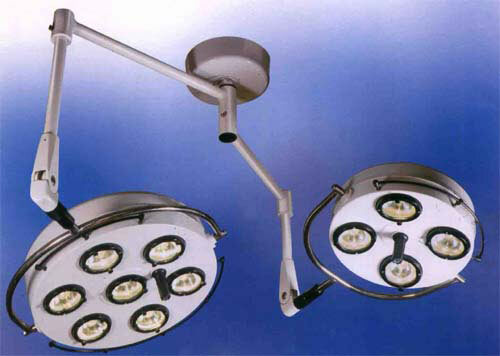 is a Manufacturer and Exporter of Operation Theatre Lights also known as Ceiling Lamps. D4 Surgicals can provide these lamps also in the stand mode. D4 Surgicals of India. provides Operation Theatre Lightsto suit the requirements of each and every medical profession. These Operation Theatre Lights are used in most of the Indian hospitals and Dispensaries. D4 Surgicals has also earned a good reputation from the international community as one of the best quality Operation Theatre Lights Manufacturer from India. While Manufacturing these Operation Theatre Lights best quality standards are followed. Height Adjustment 600 mm approx.